Recently earning the distinction of Leader in Digital Commerce by Gartner, Magento has been a top ecommerce platform for nearly a decade. As new customers make the transition to Magento 2, and current customers plan for upgrades from previous versions of the platform, an increasing number of retailers are readying for the migration. As Director of Business Analysis at Corra, I have had the opportunity to oversee more than 15 Magento 2 projects over the past two years, as well as requirements gathering for dozens of prospects. Our Business Analysis team works with prospects and clients to understand their business goals and project requirements. We find creative solutions that leverage out-of-the-box functionality and optimize performance, and drive the technical execution of the project. Based on my experience and insights, I wanted to share what our clients consider the top benefits of Magento 2. I’ve also outlined my recommendations for retailers looking to begin the process of migrating to the platform. From a performance standpoint, Magento 2 enables faster performance out-of-the-box. This is an important factor to consider, because customers are more likely to leave your site if they experience long page load times. Security enhancements bring forth preventative measures and get rid of vulnerabilities. As a result, retailers gain peace of mind and are able to focus on your number one priority: creating a wonderful site experience. An improved Admin user interface provides efficiency and flexibility in how ecommerce teams manage their day-to-day. A favorite feature among our clients is the Content Staging and Preview functionality. This feature allows teams to easily create, preview and schedule content updates and promotional campaigns. The migration process can be an opportunity to revisit what you have in place today. Consider design and UX. Corra consults with our clients to determine whether the migration process is the right time for a redesign or a design refresh. For instance, you may want to make changes to certain templates in order to leverage Magento 2 native functionality. Or maybe you’ve been sitting on A/B testing results and want to utilize this time to implement some of those changes. It’s also an opportunity to review the customizations you have in place and find ways to optimize their performance. In addition, it’s a great time to review which bits of functionality are actually needed. You should consider any and all of these facets in advance to more easily integrate them into the migration process. Take advantage of any low-hanging fruit, cut loose anything that isn’t serving your business goals, and make those changes you’ve been putting on hold! A key component of a smooth migration is selecting the right third-party solutions and extensions. It’s important to determine what extensions play well with Magento 2, and whether you will need to make updates or changes. Therefore, we recommend doing the research upfront and reviewing the Magento Marketplace to see what compatible extensions are available. This is especially important if your site has a lot of extensions installed. As a result, you will be able to better predict problem areas and issues that may arise. Another approach is to partner with an agency to do this legwork for you. All of Corra’s partners have been vetted for their Magento 2 experience and working extensions. Furthermore, we work closely with our partner network to ensure their technology is up to speed with client and platform requirements. To learn more about our Magento 2 partners, get in touch with the Corra team. Magento 2 relies on a different framework than Magento 1, making data and theme migration in itself a significant driver of the cost of the project. In addition, the difficulty of migrating over is highly dependent on the level of customization on your site. A standard migration is considered to be one with very little customizations and few integrations points. Meanwhile, a complex migration could be one that has a lot of customization to the theme, many integrations and custom modules, or various business logic has been applied. Magento’s data shows that for both standard and complex migrations, much of the effort and cost will go toward the front end, customizations, extensions and integrations. Migrating to Magento 2 provides an enormous opportunity for retailers to access improved site performance and updated features and functionality. It’s also a chance to review your current ecommerce practices and refresh for the future. Setting your organization up for longterm success on the Magento 2 platform requires preparation, and now is the time to start. By sorting through the recommendations above, you can begin to lay out a framework to move through a smoother migration. Finally, selecting the right partner is a key factor. Working with an agency that has a great deal of Magento 2 experience, such as Corra, will help to ensure that processes are in place to streamline the migration experience meet your business goals. If you are ready to get started, or have questions about Magento 2, contact us today! Katie Costa is Director of Solutions Strategy at Corra. 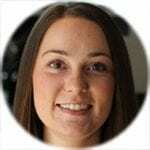 Katie manages the Business Analysis team, who build, demonstrate and maintain a detailed knowledge of client business functions and processes relevant to their ecommerce implementation and provides best practices advice. She is a Certified Magento Solution Specialist, and has overseen dozens of ecommerce projects in her more than 5 years at Corra.